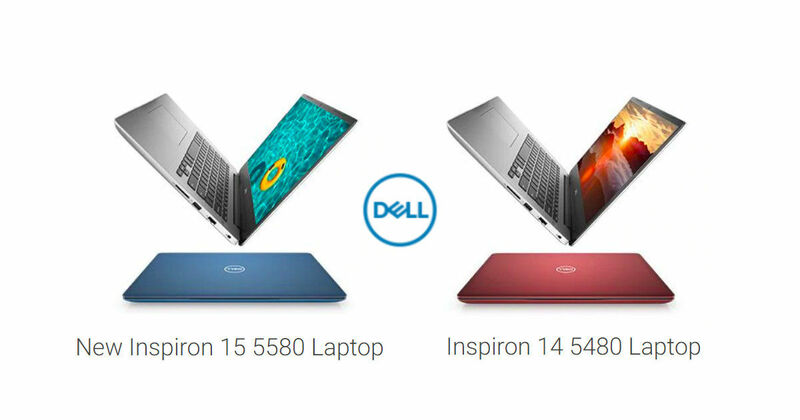 Dell has added two new laptops to its popular Inspiron series — the Dell Inspiron 14 5480, and the Inspiron 15 5580. The most important element of the two new laptops is the addition of 8th generation Intel Whiskey Lake processors, with the Inspiron 14 and 15 both being offered in Core i3, i5 and i7 processor options. Furthermore, both the laptops include the thin-bezel design of the Dell XPS lineup, albeit without the InfinityEdge tag. RAM and storage options include up to 32GB of DDR4 RAM, Intel Optane Memory to aid boot and performance times of HDD-equipped laptops. The Dell Inspiron 14 5480 laptop is offered in two configurations. The least expensive option is powered by an Intel Core i3-8145u processor, coupled with 4GB DDR4 memory, 1TB HDD storage, 14-inch Full HD non-touch display and a non-backlit keyboard. The second configuration uses an Intel Core i5-8265u processor and 8GB of DDR4 memory, with the rest of the elements remaining constant. The Inspiron 14 5480 laptop is priced at Rs 33,989 and Rs 49,989, depending on configurations, and is available in Platinum Silver and Burgundy finishes. The Dell Inspiron 15 5580, meanwhile has six configurations, with two memory and storage choices for the Core i3-8145u processor-powered variant, three choices for the Core i5-8265u-powered variant, and the top configuration offering the Core i7-8565u processor. Maximum memory offered in default configurations is 8GB, with one 4GB RAM variant including 16GB of Intel Optane Memory to aid HDD speeds. Maximum storage options include 2TB HDD, while the top configurations of the Inspiron 15 5580 also feature the NVIDIA GeForce MX150 2GB GDDR5 discrete GPU. All but one of the Inspiron 15 5580 SKUs feature backlit keyboards, and the 15.6-inch display uses narrow borders and a non-touch, Full HD display panel. The Dell Inspiron 15 5580 laptop is available in Platinum Silver and Ink colour choices. Prices for the six configurations of the laptop range between Rs 34,990 and Rs 66,990. Dell has also attempted to keep the laptops as lightweight as possible, with the lightest of the latest Inspirons weighing in at 1.48kg.